ROLAND Dane is going to have to be careful or his reputation as a hard-nosed prick is going to end up in tatters. The owner of Triple Eight Race Engineering did as you would expect of a merciless motorsport mogul when he secretly signed Shane van Gisbergen in 2014 to a three-year deal that starts at this year’s V8 Supercars championship opener, the Clipsal 500 on March 5-6. 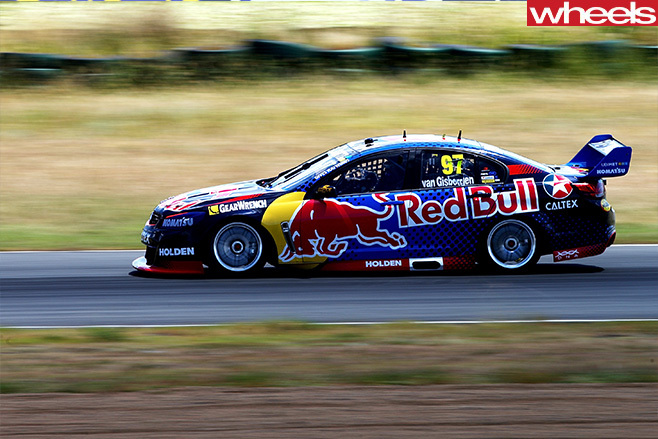 Dane identified the ludicrously talented Kiwi as the next big thing in V8 racing and decided he had to have him in a Red Bull Racing Holden Commodore VF, even though it meant poaching him from his own customer, Tekno Autosports. But instead of simply announcing van Gisbergen as Jamie Whincup’s new teammate and replacement for the now 41-year-old Craig Lowndes, Dane chose instead to expand to three cars, slotting the veteran into a third entry sponsored by Caltex Vortex. At least in part, Dane is doing this because he feels an obligation to Lowndes. They joined up in 2005 before T8 was a powerhouse when the safe bet would have been for Lowndes to stay with Ford Performance Racing. Even Dane acknowledges the risks he is taking. Other teams run three or even four cars, but T8 is the operation that has dominated Australia’s most popular, most professional, hardest fought and highest profile motorsport category for a decade. 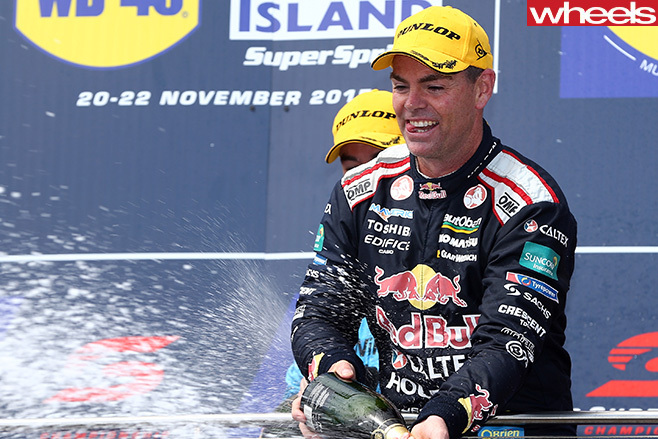 The two-car model and two drivers – Jamie Whincup and Craig Lowndes – have delivered T8 (in its guises as both Team Vodafone and Red Bull Racing) six drivers’ championships, seven teams’ championships and six Bathurst 1000 victories in the past 10 years. Now Dane has junked that and thrown a hairy, oppy-locking, tyre-smoking grenade into the mix. 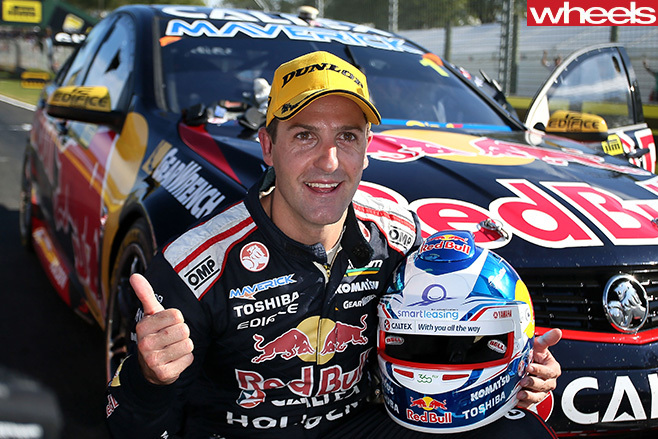 Whincup and Lowndes have got on as well and as co-operatively as motorsport team-mates could, but van Gisbergen will change that dynamic seismically. He’s the young gun, the next big thing and the two established T8 drivers will simply be targets for him to beat. Along with that very visible management issue comes a rearrangement of the backroom line-up. Engineers have swapped, mechanics have been reallocated, more staff hired, more cars and parts built – including for T8’s growing band of customers. Logistics have inevitably become less wieldy. There’s no doubt fiddling with a successful formula can cause success to go from expected to elusive, like it did for Whincup in 2015. It took a temporary shuffle of engineers to get that speed back again. But in the process he dropped out of contention for the championship. 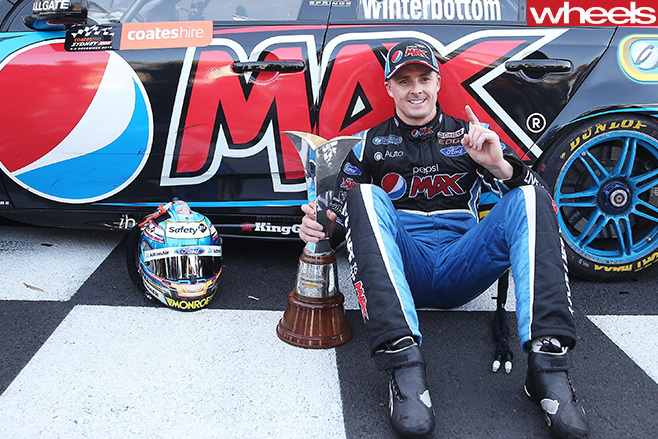 For the first time since 2010 someone other than Whincup and T8 – Mark Winterbottom in the Prodrive Falcon – won the championship. No doubt T8’s long-suffering rivals will be looking for stress fractures to emerge in 2016 so they can cart an even bigger share of the silverware home. But T8 has a habit of rising to challenges; like when it swapped from Ford to Holden in the 2009-10 off-season and still won Bathurst and was just pipped for the drivers’ title. Besides, anyone who really thinks Dane is expanding because he’s gone soft isn’t looking at the whole picture. Lowndes is still blisteringly fast. He won Bathurst for the sixth time in 2015 and doggedly pursued Winterbottom in the drivers’ title, finishing runner-up for the sixth time. Then there’s the commercial reality. As the fan favourite, Lowndes drives massive commercial returns for T8. He’s a merchandising monster and a sponsor magnet. The Caltex deal is said to be by far the most lucrative in the category on a per-car basis and the involvement with Lowndes will be mass-marketed. He’s the only driver on the grid who has the widespread public recognition and appeal to do that. “You would have to be bonkers to say goodbye to Craig,” Dane says. Tellingly, as T8 expands to three cars so Walkinshaw Racing, which has lived in T8’s shadow for years, reduces from four cars to two to concentrate on improving the performance of the factory-backed Holden Racing Team entries for James Courtney and Garth Tander. Meanwhile, the team expected to be 2016’s big improver, DJR Team Penske, grows from one car to two, having signed Fabian Coulthard to join Scott Pye. Again, maximising performance is the reason cited. All up, the entry for 2016 (shown in pitlane order below) grows by one to 26 cars. They will follow a more logical calendar that arranges the championship in two more concentrated blocks. There’s also a revised Supersprint format, a trip to Kuala Lumpur … and the prospect of watching the best team in Australian motor racing rise to its latest self-imposed challenge. If it doesn’t, don’t worry; the mongrel in Roland Dane will soon reappear.